The renewable energy industry is well known to drive investment, sectoral growth and job creation even during periods of global recession. The spread of renewable energy leads to social and economic development around the world in diverse communities. Renewable energy is a growth sector that attracts significant public and private investment. There was a 12% annual increase in global renewable investments in 2014 – that means $310bn was ploughed into green energy last year, just short of the record $317bn in 2011. Investment has been high despite falling costs of renewable technologies, which means that the money invested in 2014 bought almost double the clean electricity capacity than in 2011 – a classic example of getting more bang for your buck. Annual investment in new renewable power capacity is set to rise between 2.5 and 4.5 times between now and 2030. The likeliest scenario implies a total jump of 230%, to $630bn per year by 2030, driven by further improvements in the cost-competitiveness of wind and solar technologies relative to fossil fuel alternatives, as well as an increase in the roll-out of non-intermittent renewable energy sources like hydro and geothermal. The renewable energy industry has demonstrated remarkable resilience and sustained growth in key sectors throughout periods of recession. In California for example, job creation in the clean energy sectors grew by an astonishing 109% between 1995 and 2010, while jobs in the general economy grew by only 12%. In recognition of this resilience, numerous governments have included substantial spending on renewable energy technologies in their stimulus packages that were put into place in response to the financial and economic crisis. Countries like China, Korea, Japan, the USA and the EU have backed the renewable energy industry in their national growth strategies because the sector creates jobs. An estimated 6.5 million direct or indirect jobs around the world are currently supported by the renewable energy industry – 2.6 million in China, 894,000 in Brazil, 625,000 in the USA, 391,000 in India and 371,000 in Germany. The solar PV industry alone generates over 2.2 million jobs and the wind energy industry is responsible for employing over 800,000 people. 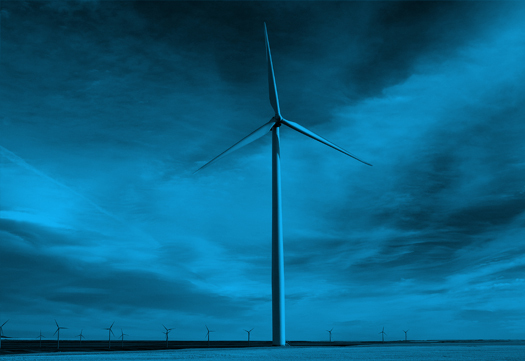 Employment, like investment, in renewable energy industries is set to grow. With the right policies in place, direct and indirect employment in renewable energy industries could account for 16.7 million jobs by 2030. By 2030 the wind industry could generate an additional 2.1 million jobs and the solar PV industry could create employment for an additional 2 million people. Diverse countries around the world can benefit from increasing employment in the renewable energy industry. While countries like China, Brazil, the USA and India are likely to experience a considerable employment boost, developing economies can also benefit. For example, investment in renewable energy could provide 155,000 direct and 115,000 indirect jobs in the Middle East and North Africa by mid-century. Renewable energy industries are increasingly generating more jobs than dirty energy industries. In the USA it was recently announced that there are now more solar-workers than coal-workers. Fossil fuel technologies are mechanized and capital intensive while the renewable energy industry is more labour intensive – so on average more jobs are created for each unit of electricity generated from renewable sources than from fossil fuels. 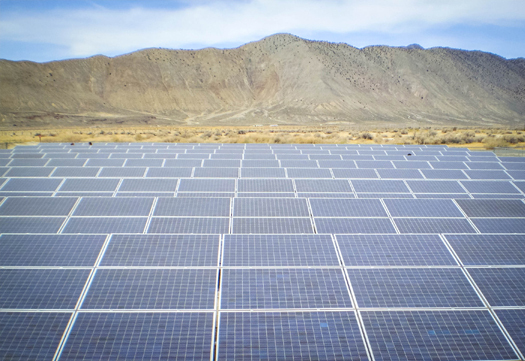 Renewable energy projects create local demand for jobs in construction and engineering, drive economic diversification (especially in rural areas), and boost electrification in rural communities. Because of the local demand for labour and local ownership of renewable energy production renewable energy projects help to keep money circulating within the local economy. Renewable energy expansion stimulates local economic and social development. In developed economies, new jobs generated by a growing renewable energy industry can provide an opportunity for social development, by softening the blow of job losses from declining manufacturing or industrial sectors. While in developing economies, social development is likely to stem from improved energy access and the provision of jobs. Renewable energy offers the opportunity to improve access to modern energy services for the poorest members of society – currently 1.3 billion people have no access to electricity. It is often cheaper and easier for people living in remote or rural areas areas, without centralized energy access, to harness renewable energy. 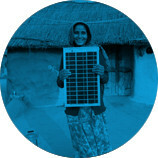 Access to energy can help to boost gender equality, health, education and employment across entire communities. In some cases the tax revenues from renewable energy projects can help support vital public services, especially in rural communities where projects are often located. For example, an analysis of tax revenues associated with renewable energy could generate total tax payments to the German municipalities of up to $414,000 over 20 years. Addressing climate change is still viewed by some as hampering economic growth and threatening job creation – yet evidence demonstrates that this is not the case if properly managed, through a just transition. Climate action can lead to more and better jobs, poverty reduction and social inclusion. In fact, the transition to low-carbon economies could generate up to 60 million additional jobs over the next two decades. However, this will need to be accompanied by appropriate climate policies and actions promoting decent work opportunities arising from a low-emission society, as well as strategies aimed at ensuring just transition for workers, providing social protection, strengthening social dialogue, securing workers’ rights, and promoting prosperity and sustainable development.